Liverpool manager Jurgen Klopp made it clear following Fabinho’s arrival in the summer that it would take time for the Brazilian to get up to speed. Like a few other first-team stars, including Andrew Robertson and Alex Oxlade-Chamberlain, Klopp decided to take the patient approach with Fabinho. The former Monaco midfielder, who earns £100,000-a-week according to Spotrac, sat out the opening eight Premier League matches before making his top-flight debut in a 1-0 win over Huddersfield Town. Fabinho’s first full 90 minutes came during Liverpool’s 4-0 victory over Champions League opponents Red Star Belgrade at Anfield last month. The Brazilian followed that up with an impressive performance against Cardiff City, but on Saturday he struggled against a step up in class. Fabinho showed against Cardiff and Red Star that he has the quality to break up play and also look to get forward. However, he was given time on the ball to do so, and that is something that Arsenal did not allow during Saturday’s 1-1 draw at the Emirates. Fabinho failed to make any significant runs with the ball, and only Mohamed Salah was dispossessed more times than him. The Brazilian struggled to get involved as he made fewer passes than the rest of the midfielders. 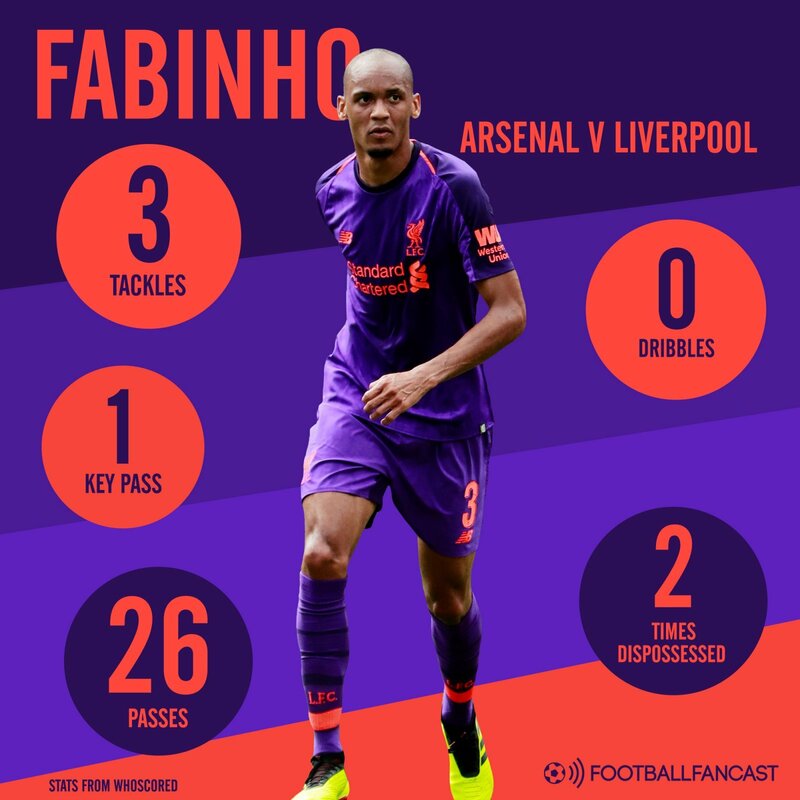 There is no doubt that Fabinho has the quality to become a key player in Klopp’s team, but his performance against Arsenal proves that he still needs a bit of work.